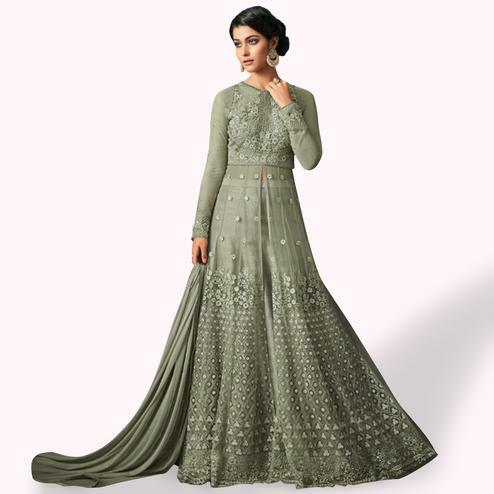 The green designer kameez with beige lehenga is the latest creation to flaunt with. 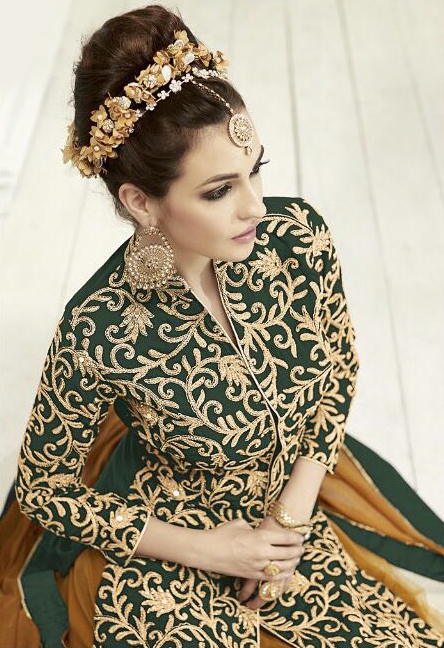 The lehenga kameez is a sure hit in festivals like Diwali, Baisakhi, Eid and Christmas as well as reception. The long kamiz has flowery work all over the top and sleeves. The beige lehenga has a shiny golden border at the end. The beige dupatta has green border at the end of the dupatta. The top is of georgette, the lining & lehenga bottom is of net & santoon and the orna is chiffon. Team it with ethnic accessories to make your looks more beautiful.